Every maker has a story. 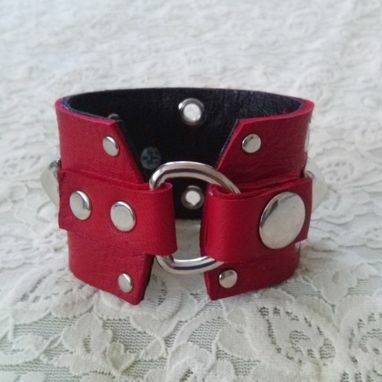 Be a part of Straitjacket Sam Leather's story by placing an order, leaving a review, and seeing your review appear here. 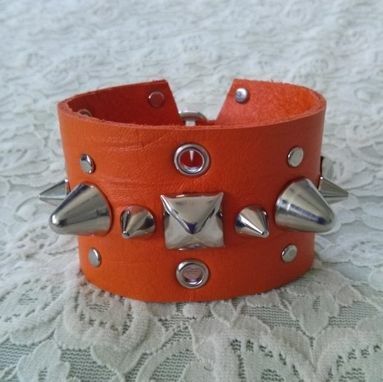 Soft, handcrafted leather bracelet cuff, accented with pyramid studs, hex spikes and eyelets. 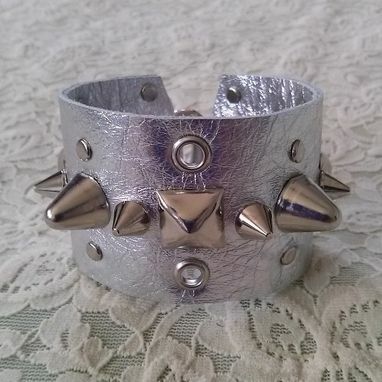 Studs and spikes are metal and won't tarnish and look terrible quickly like the cheap ones do. 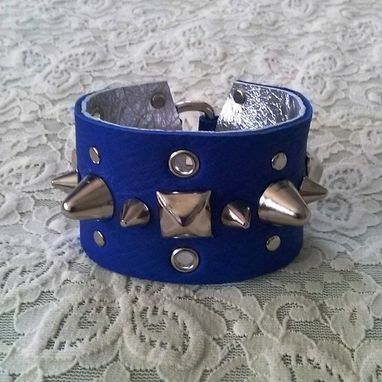 - Cuff is 1.5 inches wide. 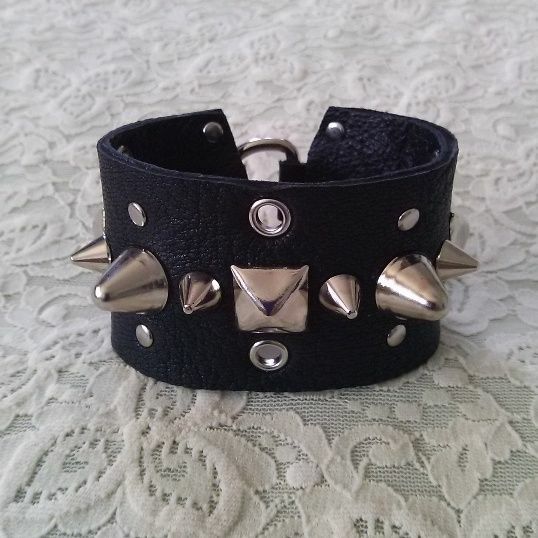 - Comfortably fits up to a 7" wrist. - Fastens easily with a gunmetal snap closure. - Individually hand cut, not mass produced – no two are exactly alike. 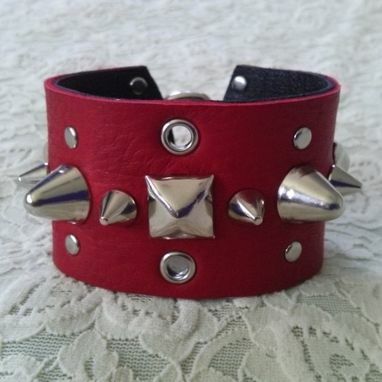 - Handcrafted in our San Fernando, California studio from USA leather. Pictured: Red, Black, Royal Blue, Orange, Pink, Pink/Black. 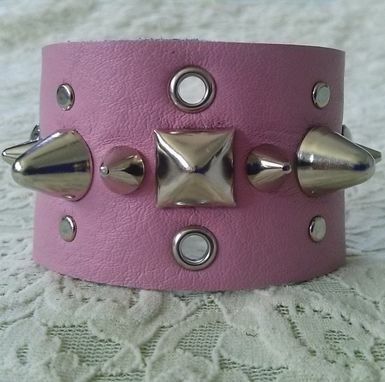 Also available in Purple, Silver, Turquoise, White (not pictured here).